There is no doubt header bidding has taken the ad tech industry by storm. For those publishers who have successfully implemented header bidding in-house or outsourced it to a capable ad tech company, they have seen incredible return on investment that pays even more dividends with every new month. Header bidding started with one-off header bidding solutions. Header bid partners like OpenX, Amazon and Criteo had early header bidding solutions that would need to be placed in the header of a publisher page and to be integrated with the publisher’s DFP account. Although, this provided higher RPMs and ad revenues, they required inefficient and cumbersome setups. Each header bidding solution would run only one demand source. If the publisher wanted to run other demand sources on header bidding, they’d have to implement yet another header bid solution in the header and create more orders, line items and creatives in the publisher’s DFP account. Publishers didn’t have the resources to do this for every worthwhile header bidding solution and it was horrible for site speed performance as well. That’s where header bidding wrappers come in. Header wrappers eliminate the cumbersome requirement of having to do one-off setups for each header bid demand source. Header wrappers can run multiple header bid partners simultaneously within a consolidated header code. Some also alleviated the issues of header bids slowing down the page and hurting ad viewability. Overall, header wrappers save publishers a lot of time since they only need one implementation rather than many and it increased overall RPMs and ad revenues even more with additional header bid innovations that could be applied to each header bid demand source. Choosing the best fit header wrapper is a huge challenge for publishers though. There are so many out there and very little unbiased information as well. Header wrappers are still quite new so unbiased third party information on header wrappers is quite rare. => Learn which header wrappers tend to earn the highest RPMs. => Find the header wrappers that take the least resources to implement. => Get the detailed pricing of each header bidding wrapper. => Receive estimates of the implementation time and cost of each header wrapper. => Read requirements to implement each header wrapper. => See what to watch out for, from each header bidding platform & wrapper company. => Understand which header wrappers have the greatest trajectory for innovation. => Learn which support teams you can rely on the most. => Get the hard numbers of which header bidding wrappers are the most supported by header bid partners. => Receive recommendations of which type of publisher is the best fit for each header wrapper. 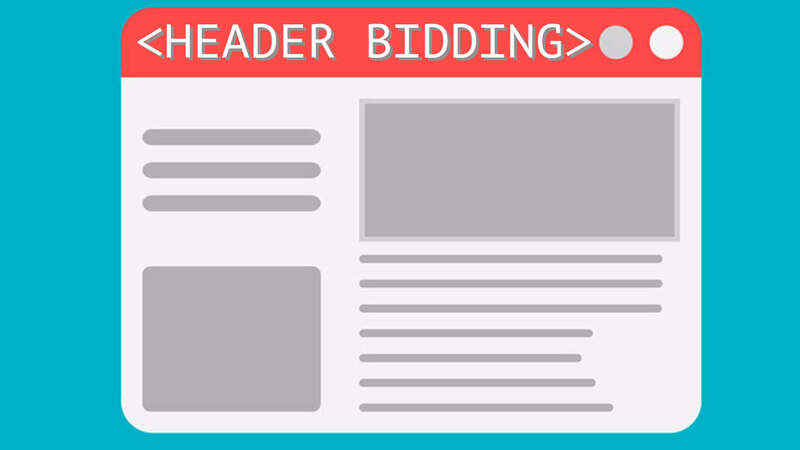 Of all the header bidding wrappers in the industry, Prebid is the most well-known. It is an open-source solution that allows publishers to use the Prebid tech and resources to implement their own in-house header wrapper. Prebid is known as the WordPress of header wrappers. Like WordPress, Prebid has made header wrappers more accessible by making it free to use and customize by making it open source. However, Prebid straight out of the box isn’t powerful until you start customizing it just like a WordPress site. Very little users want to visit a simple “Hello World” WordPress blog as publishers will get minimal results from a simple WordPress setup. If Prebid is going to work well for a publisher, they must commit significant developer and ad operation resources to implement it and continue to upgrade and customize it. Otherwise, the true power of Prebid will be lost. Can Prebid track the ad revenues and RPMs per traffic source via an interface? No, Prebid does not have an interface that detects the exact ad revenues and RPMs as reported by each header bid partner. They have a free offering to integrate Prebid stats with your Google Analytics account. While this is an exciting idea, we found out in practice it simply is not accurate. When Prebid is integrated with Google Analytics, it utilizes the Google Analytics events to show header bid stats. However, if you’re a publisher that gets millions of ad impressions per month, it will flood your Google Analytics account to the max event allowed per month. You can either choose to sample the data and only track a percentage of the data as an estimate. If you do, you will find the stats can get quite skewed and unreliable. As a result, we found the Google Analytics option was not useful due to the major downfalls. What is Prebid’s pricing structure? Prebid is free to use. There are no startup costs or revenue shares. They have an Enterprise option that offers 24/7 support. The enterprise plan goes for $3,000 USD per month. We spoke with several publishers that tried the Enterprise plan. They said the support was not reliable and far from 24/7 support. Support for doing particular customizations within this plan was very limited. The feedback we got was that the support primarily focuses on standard implementation and new Prebid versions. What level of support does Prebid offer to publishers? For free open-source, there is virtually no support. There are some good resources on Prebid.js and there is a great forum on Github where publishers support, each other. The $3k per month Prebid Enterprise promises 24/7 dedicated support but we’ve heard they fall short of this promise. Does Prebid support bid scaling? Does the bid scaling need to be adjusted by a developer or by anyone within an interface? Prebid Enterprise does not support bid scaling, but Prebid open source can include bid scaling with additional development. Prebid open source was the first header wrapper to be compatible with bid scaling. Publishers are meant to measure the difference between the header bid partners’ reported revenues and DFP reported revenues and to use the percentage difference as the bid scaled amount. Normally there is a discrepancy where the DFP reported revenues are reported higher than the header bid partners due to lost ad impressions for multiple reasons. As a result, it’s important for publishers to measure the discrepancies and use bid scaling to compensate for these discrepancies so that the header auction bids are as accurate as possible to maximize ad revenues. Once Prebid’s bid scaling is added to the static Prebid header code, it requires a developer to adjust the scaling in the source code each time. An optimal solution is to measure discrepancies every day and adjust the bid scaling accordingly. However, most publishers do not have the resources to have a developer to go into the source code and adjust bid scaling for each header bid partner on a daily basis including weekends and holidays. As a result, the Prebid bid scaling is an incredible feature but difficult for publishers to get the full benefit from. Does Prebid enable optimization of the Prebid configuration within an interface? Prebid does not have such an interface, unfortunately. As an open-source solution, it is pretty bare bones in terms of any interfaces. All the optimization and toggling must happen within the Prebid header code. For a publisher to take advantage of being able to optimize their Prebid setup, they must have at least one developer that is an ad optimization expert as well and can make the necessary daily optimizations and innovations to the Prebid header wrapper. Does Prebid provide 100% transparency? Can publishers check header bid stats on the fly? Yes, Prebid is 100% transparent. It is a bit concerning that Prebid is owned by Appnexus though. Since Appnexus also has header bid demand, they have the incentive to skew the auction in favor of their demand to increase their win rate and in the end, profits. This is quite concerning for publishers because the most optimal auction is a 100% fair auction. As soon as the scales are unfairly tipped towards header bid demand sources, the publisher loses out on ad revenues. However, despite this conflict of interest, we have seen no proof of Appnexus unfairly tipping the scales towards their demand quite yet. So as far as we know, Prebid is 100% transparent and unbiased with their stats and tech. Since Prebid does not have a reporting interface, publishers cannot check header bid stats on the fly. The closest thing publishers can do is integrate Prebid stats with Google Analytics. However as mentioned before, the stats tend not to be accurate and flood Google Analytics with events that can’t completely be tracked for large publishers. Does Prebid save bids for future pages to increase bid pressure? Prebid does not save bids for future page auctions. This is a very new idea in the industry though. We hope this is something they offer in their future versions. Does Prebid support ad refreshes? Prebid does not support ad refreshes. There are some resources how publisher developer teams could make this compatible, but if a publisher wants to work on this, they are mostly on their own. It is possible though! Does Prebid automatically build the publisher’s ad map or does this need to be done manually by the publisher? Prebid does not have this functionality. A developer needs to code in the ad map with the Prebid header code specific to each page. For example, if a publisher has 6 different page categories with 6 different ad maps, a developer would have to create 12 different Prebid header codes (6 for desktop/tablet and 6 for mobile). This could cause a lot of extra work if the developer wanted to adjust bid scaling on a regular basis, upgrade to a new version or implement any other type of optimizations. Does Prebid load all available adapters per page or just the adapters that compete for that particular page? Prebid loads all adapters in their whole library per page. That means every official Prebid adapter gets loaded on every page that has Prebid implemented. The list of official Prebid adapters is growing fast, so this file size is also growing and is slowing down the page more every time an adapter is added. You can now use a Prebid tool that allows a publisher to choose the adapters they won’t to run on the page. It wasn’t working before but was recently fixed and updated to the most recent version. What is required to implement Prebid? How long would the process take? To implement Prebid out of the box version (AKA. “Hello World” WordPress blog equivalent), a publisher must have at least one developer and one ad optimization expert or a combination of the two. The developer must also be an ad optimization expert or be advised by an ad optimization expert so that the Prebid header code is built and implemented correctly. The Prebid header code must be customized to the publisher’s ad map and then the proper DFP orders, line items and creatives. We recommend 2,000 line items be created at $0.01 increments and 10,000 creatives are created per DFP account. However, this would take 50+ hours to implement manually. It’s more ideal for a publisher to use the DFP API to automatically create those orders, line items and creatives but that requires a developer with a strong background in ad operations. To realize the true power of Prebid, a publisher must invest significant resources in a developer team, new technology and ad optimization experts. If the publisher earns over $10,000,000 per year, the ROI would be strong if there already is a strong internal ad operations team and developer team. What in-house resources are necessary to implement Prebid? A publisher needs at least one talented and versatile developer and an ad optimization expert or one employee that is both (AKA. Unicorn). Without both or a combination, you are doomed to waste a lot of hours on a setup that will most likely not work properly and could cost your significant ad revenues. Is Prebid compatible with any other header bidding wrapper adapters? No, Prebid is only compatible with Prebid adapters which are quite a large list. Does Prebid offer server-to-server compatibility? Prebid recently announced server-to-server functionality. It requires significant developer resources and ad ops know-how, however, it is now compatible with Prebid. What header bid partners is Prebid compatible with? Is Prebid compatible with DFP sync ad tags? What future innovations are on the horizon for Prebid? Server-to-server is the latest innovation and there should be several follow-up updates to the server-to-server setup because it is currently quite bare bones. Header bidding platforms for in-app is coming soon as well which we’re excited about. Overall, the AppNexus developer team has done a great job innovating Prebid. Does Prebid enable timeouts? How can a publisher adjust them? Stock Prebid does enable timeouts by default. The timeout can be adjusted within the Prebid code. However, to change the timeout requires involving a developer which can be quite cumbersome. Testing the effectiveness of different timeouts can be quite difficult as a result. When header bid partners do not bid for particular devices or geos, does Prebid remove them from the auction for the rest of the session? No, Prebid runs all implemented header bid partners for all ad impressions. There is no optimization algorithm to remove bidders that are not bidding to decrease the overall auction time and bidder timeouts. As a result, header bid partners tend to have problems with publishers that have large page views per session. This type of traffic tends to lower the ad request RPM for header bid partners which makes it difficult for them to be profitable. As a result, they will disapprove publishers if they cannot be profitable because of low ad request RPMs. The only way for publishers to prevent low ad request RPMs is to be able to frequency cap and/or not run header bid partners on particular devices. This would require significant custom developer work to implement within Prebid though. Does Prebid test which bidders are adding value to the auction? If so, how? No, there are no discernible stats that determine whether a bidder adds value to the publisher and is worth keeping in the ad stack. The best a publisher can do is make an educated guess based on the RPMs, timeout % and win rate. What separates Prebid from the alternatives? Prebid is the only true open-source technology unlike Index Exchange’s wrapper claims to be. Prebid’s technology is transparent which is ideal for publishers who want to maintain control of their ad inventory. What are Prebid’s greatest flaws? The benefit of transparency and control comes with the requirement of significant developer and ad ops resources. There are stock Prebid tools that are supposed to enable publishers without developer resources to build the code automatically. However, the tools are buggy and the stock Prebid setup is quite lacking. The general feedback is that the Prebid code builder tools are unreliable and can cause many broken ads and lost ad revenue. To take full advantage of Prebid, a publisher must invest significant resources to get a decent ROI. The real power of Prebid must be unlocked by talented developers and an ad ops team. What is the minimum requirement to use the Prebid header bidding container? What type of publisher is the best fit for Prebid? If you are a publisher that does not fit into all four of the above requirements, implementing Prebid could be a very expensive risk that you could end up abandoning because of the complex challenge and required duration is too much for your company. It is important to consider opportunity cost when deciding to implement header bidding platforms in-house or outsourcing it. If you match the above four criteria, then we’d recommend you begin researching how to implement Prebid here. If you still want to implement Prebid but don’t have the resources, you can outsource the setup to the experts. Brealtime has built a wrapper with an interface that is user-friendly and easier to implement than some of the open-source wrappers. We’ve heard from publishers that their RPM performance is average though. Some have moved away from their wrapper due to concerns of the Brealtime conflict of interest. Since Brealtime has header bid demand, they are incentivized to skew the header wrapper auction towards their demand. Unfortunately, the Biddr 360 does not have the transparency for publishers to tell whether they are running a fair auction or a skewed auction towards Brealtime. Despite this concern, Brealtime seems to have created a header wrapper that is a better fit for small publishers. Can Biddr 360 track the ad revenues and RPMs per traffic source via an interface? What is Biddr 360’s pricing structure? The container is currently free for publishers that have Brealtime demand enabled to compete in the auction. For publishers that want to use the wrapper without Brealtime demand, they charge a small percentage of revenue, and also offer the option of a managed service for publishers looking to have Brealtime manage their entire header stack. What level of support does Biddr 360 offer to publishers? Yes, they have a full integrations team that will assist in all steps of the process. A typical integration takes only a couple of days and a more complex integration requiring custom work, no more than a week. Does Biddr 360 support bid scaling? Does the bid scaling need to be adjusted by a developer or by anyone within an interface? Publishers can adjust bids per provider before they are passed to account for any discrepancies within their own custom UI. Ad operation teams can make these changes in real-time via the UI with no developer work needed. Does Biddr 360 enable optimization of the Biddr 360 configuration within an interface? The core functionality for updating the header bidding container is available through the Biddr360 Control Center. This UI provides the ad operations team the ability to update timeouts, adjust bids, update price / key values, and add and remove partners at will. All updates saved within the Control Center push to the live site in real-time. Does Biddr 360 provide 100% transparency? Can publishers check header bid stats on the fly? Yes, they are 100% transparent However, they do not segment ad revenues by traffic source. Does Biddr 360 save bids for future pages to increase bid pressure? Does Biddr 360 support ad refreshes? Yes, and they have helped publishers integrate this functionality. Does Biddr 360 automatically build the publisher’s ad map or does this need to be done manually by the publisher? The ad server build is automated via the DFP API if access is given to the publisher’s DFP account. Otherwise, they provide publishers easy to follow step-by-step instructions on how to set everything up in the ad server themselves. In any case, the integrations team is there to help publishers and run a final check before they go live. In practice, publishers have mentioned the support isn’t that responsive and cannot support any custom requests. The ad unit map is not automated. The publisher must send over the ad unit map manually for proper DFP implementation. Does Biddr 360 load all available adapters per page or just the adapters that compete for that particular page? Biddr 360 will only load the adapters that you select to run in each individual ad slot on the page, which can be adjusted on the fly, in real-time from the Biddr360 Control Center UI. What is required to implement Biddr 360? How long would the process take? Biddr 360 offers concierge setup. What in-house resources are necessary to implement Biddr 360? 6-10 hours for a full build out, but it varies by publisher and complexity of set up on the publisher’s side. A developer with ad ops experience and an ad optimization expert is recommended for this setup. For maintenance, a daily check-in and analysis of performance are recommended. At the very least, a weekly or bi-weekly adjustments if necessary to allow partners to react to changes made and ensure the full benefit of any optimization is achieved. Is Biddr 360 compatible with any other header wrapper adapters? Biddr360 is usingthe open-source Prebid header wrapper technology, so it is also compatible with each Prebid adapter as they integrate them into their interface. Does Biddr 360 offer server-to-server compatibility? Yes, Biddr 360 container can run both Server-to-server and client side partners simultaneously. What header bid partners is Biddr 360 compatible with? Is Biddr 360 compatible with DFP sync ad tags? What future innovations are on the horizon for Biddr 360? Short term, the focus is on BiddrCloud, our server-to-server product, and various tools to actualize the data available from our reporting. We have a long roadmap and a big investment focused on providing publishers more control and transparency over their business. Does Biddr 360 enable timeouts? How can a publisher adjust them? Yes, but the changes have to be made by a developer. When header bid partners do not bid for particular devices or geos, does Biddr 360 remove them from the auction for the rest of the session? Publishers can turn on and off partners via the Biddr360 Control Center UI overall as well as in particular Ad Slots in real time. However, bidders who are not bidding for a particular user is not turned off automatically. Also, there is no machine learning that will only run bidders on devices and geos where they are competitive to keep the auction light weight. Does Biddr 360 test which bidders are adding value to the auction? If so, how? Using our Biddr360 Dashboard, publishers have full transparency into a number of relevant metrics by ad slot, including bid and fill rates and provider and timeout data, among many other metrics that expose the value each partner is adding. However, the above is not sufficient for programmatically determining whether a bidder is increasing or decreasing page RPMs for a publisher. With the current suite of metrics, publishers must still make educated guesses which bidders are adding value and which are decreasing value for the publisher auction. What separates Biddr 360 from the alternatives? The interface seems to be the biggest difference. What are Biddr 360’s greatest flaws? The wrapper does not seem to be header bid optimized. Biddr 360 lacks the features to maximize publisher page RPMs. There are no features that include multivariate testing, machine learning or bid caching. What is the minimum requirement to use the Biddr 360 header wrapper? There is no minimum requirement. To get the free version, a publisher must be accepted into Brealtime header bid demand. What type of publisher is the best fit for Biddr 360? If you said yes to the top four criteria, then we’d recommend you sign-up here. SpringServe has developed a header wrapper technology that is not based on Prebid technology. As a result, the list of adapters is quite small at 7. Their tech is also quite simple and lacks many of the key optimization tech that the other header wrappers have. As a result, SpringServe Wrapper is a bit easier to implement, however, it leaves a lot of money on the table compared to other header wrappers. Can SpringServe Wrapper track the ad revenues and RPMs per traffic source via an interface? Ad revenue is not segmented by traffic source or Google Analytics UTM links in anyway and there is not ad revenue report interface. What is SpringServe Wrapper’s pricing structure? No upfront costs but they will charge a revenue share of header bid revenues. What level of support does SpringServe Wrapper offer to publishers? They offer 9AM – 5PM EST support on regular business days. Does SpringServe Wrapper support bid scaling? Does the bid scaling need to be adjusted by a developer or by anyone within an interface? Generally, they’ll investigate them. However, there is no functionality to scale bids in their wrapper technology. Does SpringServe Wrapper enable optimization of its configuration within an interface? Publishers can add and subtract demand partners directly in the UI on a tag level instead of editing their site’s actual source code. In terms of actual optimization tools, the interface is quite sparse. Does SpringServe Wrapper provide 100% transparency? Can publishers check header bid stats on the fly? No, the SpringServe header wrapper is a black-box solution. Publishers cannot check stats on a UI. Does SpringServe Wrapper save bids for future pages to increase bid pressure? Does SpringServe Wrapper support ad refreshes? Yes, but they’ll only bid on the first one which is quite unfortunate for sites with high time on page. A lot of money would be left on the table. Does SpringServe Wrapper automatically build the publisher’s ad map or does this need to be done manually by the publisher? It’s fully manual. DFP slots need to be set up in the SpringServe UI to target the existing units used by the publisher and then defined in the container, which is essentially a modified version of the DFP header code that calls its JS library. Does SpringServe Wrapper load all available adapters per page or just the adapters that compete for that particular page? SpringServe Wrapper doesn’t rely on Prebid at all, so they work with the demand partners with whom they’ve come to terms and built custom integrations. Therefore, they don’t load all adapters but have a short list of header bid partners to work with. What is required to implement SpringServe Wrapper? How long would the process take? It varies based on the sophistication of the publisher but, usually, it takes between 3-5 business days. This is assuming that the publisher has at least one full-time developer and one ad optimization expert. What in-house resources are necessary to implement SpringServe Wrapper? To implement SpringServe, the publisher should have one developer and ad optimization expert. After implementation, not many resources are needed since there are practically no optimization tools available. SpringServe Wrapper is a minimal header wrapper setup. Is SpringServe Wrapper compatible with any other header wrapper adapters? Does SpringServe Wrapper offer server-to-server compatibility? What header bid partners is SpringServe Wrapper compatible with? Is SpringServe Wrapper compatible with DFP sync ad tags? What future innovations are on the horizon for SpringServe Wrapper? SpringServe is considering to implement server-to-server, but if it happens, it would be long-term. Does SpringServe Wrapper enable timeouts? How can a publisher adjust them? SpringServe Wrapper can run timeouts. However, the publisher cannot adjust them. Only the SpringServe team can adjust on their end so adjustments would happen very slowly. This would make it next to impossible to run an efficient test. When header bid partners do not bid for particular devices or geos, does SpringServe Wrapper remove them from the auction for the rest of the session? Yes, they can be deactivated on the tag level. However, the bidders are not deactivated throughout the session when bidders have not bid for within previous page views. Does SpringServe Wrapper test which bidders are adding value to the auction? If so, how? No, they have no tool for this. Publishers have to make educated guesses based on the minimal stats available. What separates SpringServe Wrapper from the alternatives? Not much really. Their header bid tech is very basic and their customer service is limited. Their wrapper seems to be the easiest to setup. What are SpringServe Wrapper’s greatest flaws? – Very simple tech that would leave a lot of money on the table for publishers. What is the minimum requirement to use the SpringServe Wrapper header wrapper? What type of publisher is the best fit for SpringServe Wrapper? Small publishers (Less than 1 million page views per month) that want to run header bidding but want no upfront costs and are OK with giving up a revenue share. If the above criteria describes your publisher network, we’d recommend to try out SpringServe Wrapper here. Formally known as MonetizeMore Demand, PubGuru Header Bidding has been integrated into the suite of ad optimization tech within PubGuru’s DIY ad optimization solution. MonetizeMore has been innovating header bidding tech since 2015. They have developed some interesting ad optimization tools without compromising transparency. Publishers have reported strong page RPM performance when switching to PubGuru Header Bidding. Can the PubGuru Header Bidding software track the ad revenues and RPMs per traffic source via an interface? Yes, PubGuru can split by traffic via Google Analytics UTM links and can disclose session depth stats as well. All reporting is unified within the PubGuru interface. What is PubGuru Header Bidding’s pricing structure? PubGuru is free to join with a suite of free tools. There is a revenue share on the header bid ad revenues. What level of support does PubGuru Header Bidding offer to publishers? The MonetizeMore team is spread across the world, so they tend to be quite responsive. In practice, this is the closest we’ve seen to 24/7 header bid support. Does PubGuru Header Bidding support bid scaling? Does the bid scaling need to be adjusted by a developer or by anyone within an interface? Yes, bid scaling can be adjusted by the publisher within the PubGuru interface. They plan on automating bid scaling so that the publisher no longer needs to adjust the bid scaling within the interface. Instead, the bid scaling will automatically be updated on a daily basis to each bidder on each section of the site based on the discrepancies between the header bid partner reported revenues and DFP reported revenues. Does PubGuru Header Bidding enable optimization of the PubGuru Header Bidding configuration within an interface? Does PubGuru Header Bidding provide 100% transparency? Can publishers check header bid stats on the fly? PubGuru is 100% transparent. Publishers can check all their header bid stats within the PubGuru interface and stats get pushed into the publisher’s owned DFP account. Managed demand and Google Ad Exchange / AdSense stats can be unified within PubGuru as well. Does PubGuru Header Bidding save bids for future pages to increase bid pressure? No, PubGuru does not offer bid caching. Does PubGuru Header Bidding support ad refreshes? Not yet but they aim to be able to by Q3 2017. Does PubGuru Header Bidding automatically build the publisher’s ad map or does this need to be done manually by the publisher? Currently it is done by the MonetizeMore team as a concierge header bidding software setup, however, the ad map creation will be automated by Q3 2017. Does PubGuru Header Bidding load all available adapters per page or just the adapters that compete for that particular page? Unlike PubGuru’s derivative technology, Prebid, they have innovated a leaner setup where PubGuru only runs the adapters on the page instead of the Prebid standard way of running every adapter available. What is required to implement PubGuru Header Bidding? How long would the process take? Currently, the MonetizeMore team completes a concierge setup and the publisher only needs to provide DFP access. With PubGuru self-serve, someone who is junior to ad optimization could handle the simplified setup on PubGuru interface. A developer would be needed to eventually implement the JS tags on the publisher pages. What in-house resources are necessary to implement PubGuru Header Bidding? Is PubGuru Header Bidding compatible with any other header wrapper adapters? PubGuru is compatible with the 60+ Prebid adapters and several additional adapters. Does PubGuru Header Bidding offer server-to-server compatibility? This will be available in Q4 2017. It will be a hybrid of header bidding and server-to-server. Multivariate tests will be run to determine whether to run header bidding or server-to-server for a page view and which bidders to run within server-to-server and header bidding platforms. It will combine the best qualities of both solutions to make the performance completely incremental. What header bid partners is PubGuru Header Bidding compatible with? Is PubGuru Header Bidding compatible with DFP sync ad tags? What future innovations are on the horizon for PubGuru Header Bidding? Does PubGuru Header Bidding enable timeouts? How can a publisher adjust them? Currently the timeout must be adjusted by a developer, however, PubGuru will be launching their timeout multivariate testing tool that will test each combination of timeouts with geos, devices and bandwidths. When header bid partners do not bid for particular devices or geos, does PubGuru Header Bidding remove them from the auction for the rest of the session? Yes, PubGuru removes a header bid partner from the auction for the remaining session if the header bid partner has not bid above $0 for the past few page views. Does PubGuru Header Bidding test which bidders are adding value to the auction? If so, how? Yes, PubGuru runs a multivariate test on all header bid combinations. By analyzing the DFP RPMs of each header bid partner combination key value pair, a publisher can determine programmatically which header bid partners increase RPMs and which do not. What separates PubGuru Header Bidding from the alternatives? PubGuru is the most sophisticated header wrapper that we have come across. The publishers we spoken to have claimed the performance was the strongest when they tested against other header wrappers. PubGuru gives full transparency and gives a lot of optimization and control to the publisher from the interface. What are PubGuru Header Bidding’s greatest flaws? What is the minimum requirement to use the PubGuru Header Bidding header wrapper? 20 million page views per month. Once PubGuru is more automated that number will allegedly drop, but for now, it sits at 20 million. What type of publisher is the best fit for PubGuru Header Bidding? If the above criteria fit your publisher network, you can sign up here. Pubmatic has come out with a strong header wrapper offering from header bid tech to interface. They have put a good amount of resources into their header wrapper which is derived from Prebid technology. As a result, they have all the compatible adapters that Prebid does. The page RPM performance is pretty good and the interface is full of detailed stats. However, the stats require a .csv download and a lot of work to disseminate until they are useful. Overall, Pubmatic offers a strong offering with an interesting future outlook towards developing server-to-server. Can Pubmatic Header Bidding track the ad revenues and RPMs per traffic source via an interface? No, revenue attribution is not possible via Pubmatic header bid tech. What is Pubmatic Header Bidding’s pricing structure? Free with the use of Pubmatic demand source. What level of support does Pubmatic Header Bidding offer to publishers? The level support is quite minimal. The implementation is no easy task and the reps tend to be unresponsive. Does Pubmatic Header Bidding support bid scaling? Does the bid scaling need to be adjusted by a developer or by anyone within an interface? Bid scaling is not supported by Pubmatic’s tech unfortunately. This tends to hurt page RPM performance especially when running many header bid partners. Does Pubmatic Header Bidding enable optimization of the header bid configuration within an interface? No, all the changes have to be made within the source code by a developer. Unfortunately, this makes regular optimization almost impossible because it requires a new build every time you want to make a small optimization change. Does Pubmatic Header Bidding provide 100% transparency? Can publishers check header bid stats on the fly? The Pubmatic stats are quite transparent, however, they are quite muddled. It’s tough to get stats per header bid partner and require a lot of daily work just to organize the stats so that they are useful. Does Pubmatic Header Bidding save bids for future pages to increase bid pressure? No, Pubmatic does not offer this type of tech that increases the header bid competition for later page views. Does Pubmatic Header Bidding support ad refreshes? No, Pubmatic’s header bid tech doesn’t support ad refreshes. Does Pubmatic Header Bidding automatically build the publisher’s ad map or does this need to be done manually by the publisher? No, Pubmatic header bidding requires a developer to customize the code to the publisher’s ad map. Does Pubmatic Header Bidding load all available adapters per page or just the adapters that compete for that particular page? Pubmatic loads all available adapters per page instead of the more efficient method of running just the adapters that compete for that page. What is required to implement Pubmatic Header Bidding? How long would the process take? To qualify for the Pubmatic header wrapper, a publisher would have to qualify for Pubmatic demand. It seems they offer concierge service for the very large publishers. For any other publishers, you should expect the setup to take multiple weeks and to not get much support. What in-house resources are necessary to implement Pubmatic Header Bidding? 40 – 50 hours for a full implementation for most publishers. A developer with ad ops experience and an ad optimization expert is required. For maintenance, it’s a bit difficult to add new header bid partners and a developer needs to adjust the source code as well. Since the Pubmatic wrapper is a closed solution, there are not many opportunities to customize and optimize from the publisher end. Ad ops will be spending most of their time digging for the relevant header bid partner stats than disseminating them every day. Is Pubmatic Header Bidding compatible with any other header wrapper adapters? They are compatible with all the Prebid adapters since their technology derives from Prebid header bid technology. Does Pubmatic Header Bidding offer server-to-server compatibility? Currently they do not but they are working on integrating that offering. What header bid partners is Pubmatic Header Bidding compatible with? Is Pubmatic Header Bidding compatible with DFP sync ad tags? What future innovations are on the horizon for Pubmatic Header Bidding? Server-to-server is the biggest innovation that they’re working on. It should improve the page load times of their header bid tech once implemented. Does Pubmatic Header Bidding enable timeouts? How can a publisher adjust them? Yes, but a developer needs to adjust the timeouts via the source code. When header bid partners do not bid for particular devices or geos, does Pubmatic Header Bidding remove them from the auction for the rest of the session? No, the same bidders compete for all subsequent page views even if they have not bid for any previous ad impressions. Does Pubmatic Header Bidding test which bidders are adding value to the auction? If so, how? No, there is no directly quantifiable way to determine whether a header bid partner is adding value to the auction. The publisher would have to make an educated guess based on some of the other stats available after disseminating the stats whether it is worth keeping a header bid partner in the auction. What separates Pubmatic Header Bidding from the alternatives? Pubmatic has the most detailed stats of any of the header wrappers. What are Pubmatic Header Bidding’s greatest flaws? The amount of daily work the ad ops team would have to do just to make the stats useful is a major flaw. Also, the standard setup is not optimal. The DFP setup does not uses larger increments than 1c and they are missing some important optimization toggles and features to drive up page RPMs. What is the minimum requirement to use the Pubmatic Header Bidding header wrapper? Publishers must have large enough traffic to be accepted to get a Pubmatic demand account. Unfortunately, Pubmatic has not disclosed the minimum traffic amount. What type of publisher is the best fit for Pubmatic Header Bidding? Pubmatic is great for the type of publisher that needs very granular stats. They will have to make a significant daily time investment to make the stats useful, but the stats are there. Therefore, the publisher would need to be larger and have ad op resources to dedicate to making the stats useful. If granular stats are more important than maximizing page RPM, than Pubmatic is the best header wrapper for you. This could be the case for publishers that have a high percentage of direct sales ads and need the programmatic granular stats to aid their direct sales and PMP efforts. You can sign up here. Based on the feedback from many publishers, the current feature-set, the UI and the product roadmap, we are confident to recommend PubGuru Header Bidding as the most sophisticated header wrapper in the market today. It might not be for every publisher, especially those that get less than 20 million page views, but most will get the greatest page RPMs, ad revenues and ultimately ROI by using PubGuru. The fact that publishers do not have to compromise transparency, control and they get a custom concierge setup as well, brings MonetizeMore’s header wrapper above the rest. Let us know if you have any feedback in the comments below on the above header wrappers or any other header wrappers that we should include. We would like this guide to cover all the legitimate header wrappers that provide value to publishers. It saved me a lot of time and trouble setting up header bidding wrappers on my sites. Thanks for always producing amazing content! The solution that Prebid offers is nice but only seems to work in a vacuum. In practice when you apply it to websites with a custom setup, many things can go wrong. The Prebid ad unit refresh code is far from bullet-proof. 3. Prebid server to server docs are here: http://prebid.org/dev-docs/get-started-with-prebid-server.html and it doesn’t take significant dev resources – we’re talking about updating a file and changing a line of code. 4. Google Analytics hooks aren’t the only way to get analytics for prebid – you could use a free tool like Roxot: http://prebidanalytics.com/ for example. These free tools lack accuracy and discrepancy reporting between what is bid on live and what is reported by the actual ad networks which publisher payments are based on. Relying on an interface that tends to be skewed by analytic sampling and is vulnerable to large revenue and ad impression discrepancies is not sufficient for publishers that know what they are doing. We recommend publishers to not make important business decisions based on stat estimates that can be severely skewed. 5. OP! The cost estimate for prebid is bonkers! There are thousands of domains out there using this tech – it’s by far the most common way publishers of every size implement header bidding – and no way are they spending months and hundreds of thousands of dollars and have multiple developers spending thousands of hours to implement. I’m not a developer by any stretch and I was able to get live in a couple hours. We state within the article that the Prebid cost estimate is based on creating a custom Prebid setup to get the full potential of Prebid. Sure, a publisher could implement standard Prebid faster and for cheaper, however, they would be leaving a lot of money on the table. The true power of Prebid is within the customization of the technology and the tailoring to each site. We have examined A/B tests between the custom Prebid setups that costed over $500k to develop and standard Prebid and saw significant RPM differences. Even with standard Prebid, publishers should not expect to simply set it up in mere hours. That is simply not the case for many publishers who have a custom site or any elements that could interfere with Prebid. A proper standard Prebid setup requires testing, debugging issues and various tailoring to ensure Prebid runs smoothly amongst all the other website elements. With that said, even though we disclosed that the cost estimate is for a custom Prebid setup, we could add the cost estimates for standard Prebid to make the guide more clear. This is a fantastically detailed post, and thank you for putting in the huge amount of time I know this required to write! Thanks again for this great review, and hopefully the information above is helpful and shows that prebid.js isn’t that scary / complex.